Once again, we celebrate Catalonia’s National Day, the Diada. The Diada allows us to commemorate our national character, and to recognize the values that best identify us as a people. Our tenacity, our commitment, and our ability to recover in the face of difficulty are the best examples of our will to survive, as well as undeniable proof of our will to exist. A will that has helped construct this country generation after generation from people of all origins and from all walks of life. Yesterday we inaugurated the Born Cultural Centre, a space that allows us to contemplate the history and artifacts of the Barcelona of 1714. A space that shows us just how far some were willing to go to annihilate a country and its institutions, rights, language, and culture. A space that is the clearest proof that not even the negation of all of its freedoms can finish off a people that is steadfast in its will to exist and constant in its efforts to do so. In a moment like the present, we must keep the lessons from history foremost in our minds. As the classics remind us, a drop of water does not perforate a stone by force, but through perseverance. What made the Catalan men and women of 300 years ago—defeated, vanquished, with their liberties stripped away—refuse to give up who they were so that now we can be who we are? Only their belief, as we continue to hold today, that with their abilities, with their strength, and with their laws, they could live better and hope for a more prosperous and just future. And these beliefs gave them the ability to resist and the moral fortitude to begin to recover, and with the passage of time, reconstruct our country and keep the flame of our own identity and our own progress alive. Tomorrow marks the first anniversary of the massive demonstration that filled the streets of Barcelona last year, that demonstrated the firmness of our collective will and our unshakable longing to decide our future democratically, peacefully, and freely. Tomorrow, there will be a new manifestation of our patriotism, of our civic feeling, and of our commitment. It will be evident in all of the institutional events that will take place throughout our country. And it will be apparent when hundreds of thousands of our citizens join hands to express once again their desire for freedom, peace, democracy, and social justice. Like last year, I have decided that my role as President precludes my involvement in person. Nevertheless, my commitment today is not only just as solid as it was a year ago, but it is even more clearly explicit: the people of Catalonia must be consulted next year on their political future. My commitment is so firm about the Catalan people’s right to self-determination that, as I have made evident in recent days, I am ready to use all the democratic and legal tools at my disposal in order to help the citizens of Catalonia be able to vote on their future as a country. In the same way that my commitment is unwavering it is also my will that the process be carried forward thoughtfully: that we do it right. Because it is only by doing things properly that we’ll be able to achieve our objectives. Our road map is drawn: the right to self-determination, a referendum, the national transition, and the formation of the State. Together with our road map we also have the “Catalan Way” [in English in the original], a way of doing things which reflects our way of being and includes democracy, dialog, legality, civility, a peaceful spirit, and wide majorities. And respect for minority viewpoints, because any project for a country must serve the entire country, that is, all 7.5 million Catalan men, women, and children. We must not waver a single millimeter from our road map, but we must also remain committed to the Catalan Way of doing things. We must carry out a national transition, but we must do it right. And doing it right is everyone’s responsibility. Although the exercise of self-determination is the most important objective of the present legislative session, and the one that will affect the public the most, there are other challenges, objectives, and goals that are on the same level: to lift the country up economically, to redress social issues, and to improve the democratic system. That is, to go from recession to wealth creation, from unemployment to work, from weakening the state of well-being to strengthening it, from the threat of public policies to their guarantee, from the deterioration of the public’s confidence in our institutions to a climate of transparency and mutual respect. The right to self-determination, prosperity, social justice, and a robust democracy are, each and every one, the foundational walls of the house that we want to build. If any one of these walls cracks, the whole house is affected. But if they are all strong and sturdy, the whole house is more solid. Even if we don’t have the sufficient tools, even if the tools we have are dramatically lacking, we will continue to work to reinforce these foundational walls. With the modesty of knowing that we have made mistakes and the determination to convert those mistakes into learning opportunities. 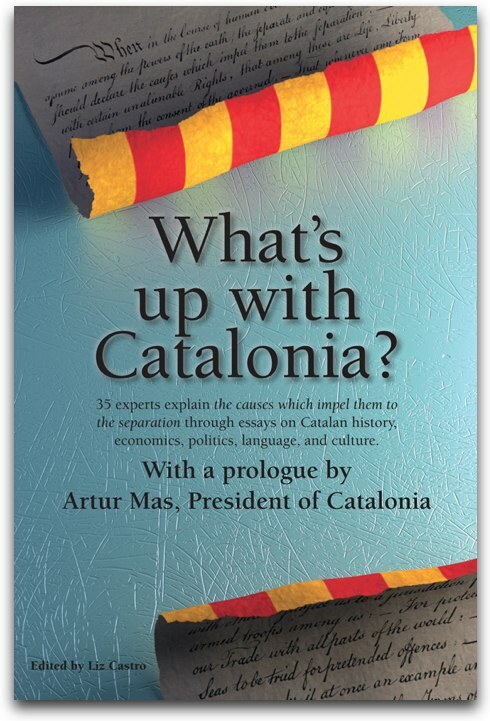 Catalonia is working to leave recession, unemployment and poverty behind. To stop the budget cuts and stabilize public financing. To increase school performance and to be able to properly care for the sick and the most vulnerable. Our National Day is also about that: building a country that is more socially just, economically sound, culturally advanced and democratically exemplary. The closer we are to this multifaceted spirit of our Diada, the closer we are to the city of ideals envisioned by the poet. And beyond all that, there is our search and conquest of freedom. Salvador Espriu, the 100th anniversary of whose birth we celebrate this year, told us “build your new house in the plot that is labeled with the name of liberty”. And to Spain he proclaimed, “Listen, Sepharad, people cannot be if they are not free.” Three centuries later, the desire for freedom continues to ring from north to south, from east to west. And it rings louder than ever.